January 1, 2017 Categories Holidays2017, friends, gene, happy new year, new year, SidneyLeave a Comment on Good morning 2017! Good morning 2017! I’m loving you already. Last night we all stayed up until midnight (even me!) to welcome in the new year. 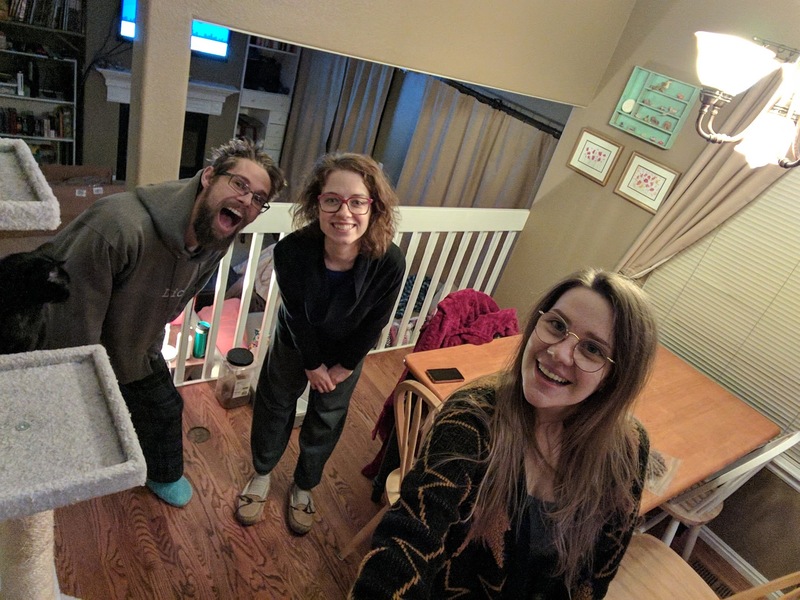 Sidney used her new selfie stick (thanks Katie and Mitchell) to take some quick pictures of us as we waited for the countdown. 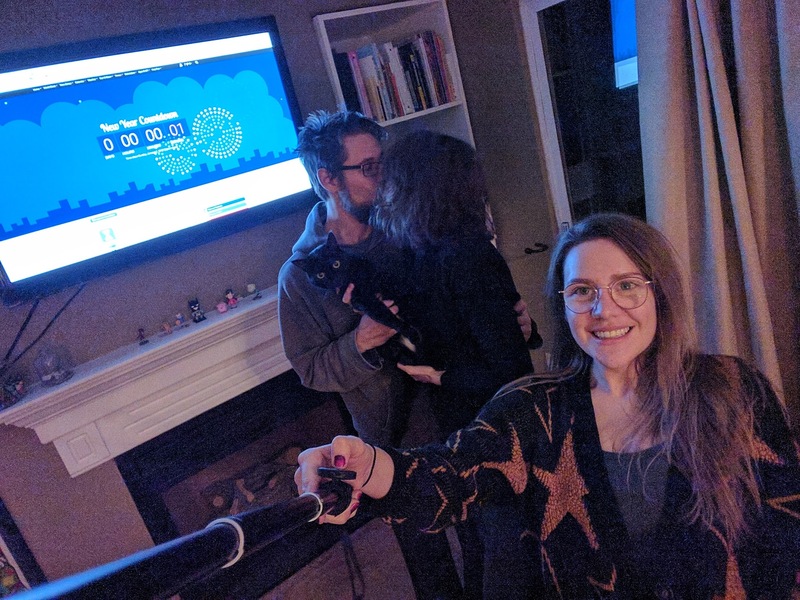 One second in to the new year and we started it off right with a kiss and Pippin trying to escape our love. Pretty on point. We then rushed outside and played with sparklers that Sidney had saved from the summer. 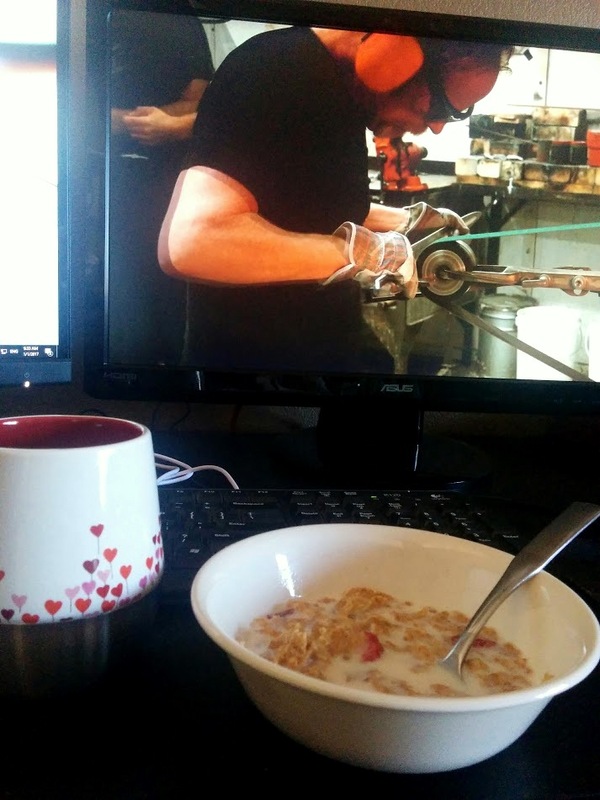 Now it’s morning and I started it off with some OJ in my favorite mug, some tasty cereal, and Adam Savage talking about his favorite things. I know it’s technically just another day but that won’t stop me from feeling excited about this new year.